New Delhi, Jun 5 : At least 20 Indian soldiers were killed during an ambush Thursday by militants in the remote northeast of the country, in one of the deadliest confrontations in recent years. The attack, in the Chandel district of Manipur State close to the border with Myanmar, was carried out against a small convoy of army vehicles traveling from one army camp to another in the hilly and forested area about 60 miles south of the state capital, Imphal. 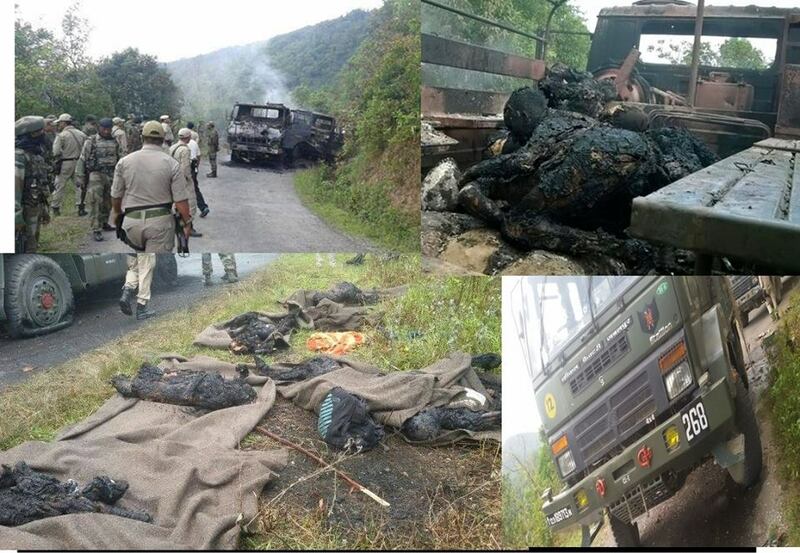 Several similar attacks have been reported in recent months in the states of Arunachal Pradesh and Nagaland. As Thursday’s ambush occurred in an area without phone communication, details were slow to emerge. “We are still waiting for the police party to come back,” said P. K. Tutusana, the spokeswoman for the Manipur police.